This code is 8 point algorithm. 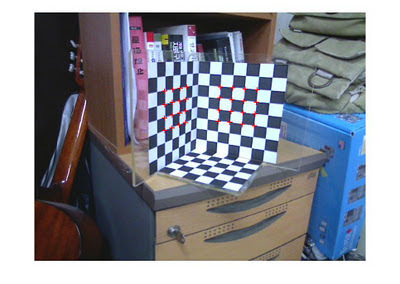 If we know over 8 corresponding points between two images, we can know Rotation and Translation of camera movement using 8 point algorithm. The 8 point algorithm is well known in the vision major field. 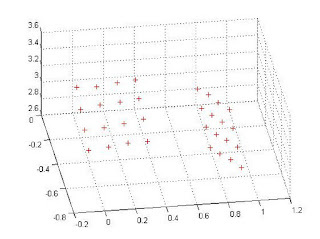 The algorihtm is introduced at the Multiple View Geometry Book and many websites. You can download 8 point algorithm at the Peter Covesi homepage. My code is very simple. so I believe my code will be useful to you. I will upload RANSAC version later. %This code is also run well instead of Triangulation Function. This post is very useful to me and I like it so much. But I have a question, how about the uncallibrated method, because I didn't have the intrinsic matrix of my camera. Is there any difference if I just determine the P2 from the fundamental matrix I defined? You have to do camera calibration to get intrinsic matrix. 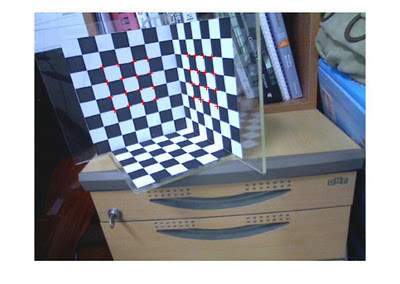 There are many tool to calibration camera in web. Open CV also support function for camera calibration. 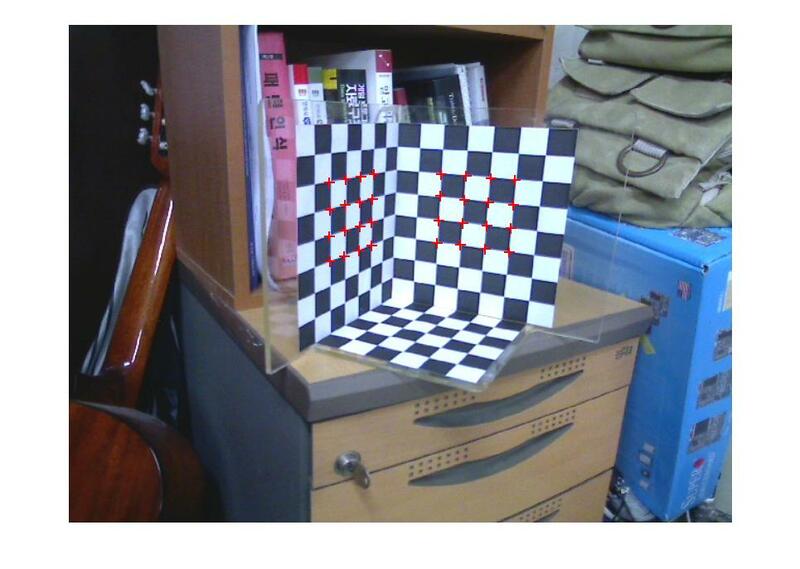 If you hard to use opencv, I recomand GML camera calibration tool. Search this keyword in the google, or download directly in my drive(https://docs.google.com/file/d/0B7Z5A9fd6h29T3lHaVRxUWxpY2c/edit). Point is important. You have to get same position coordinate of left, right image. 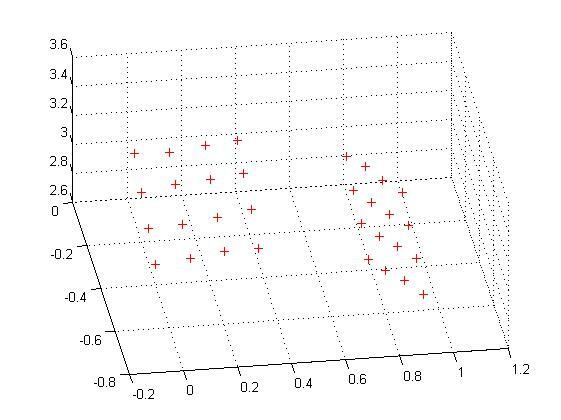 If the point include missmatch error, we cannot get exact P matrix. Hi, I'm working on my master thesis right now and I'm having some troubles with determining the exact positions of cameras that are marked red in your picture. I used some other methods to determine the values to 3d reconstruction and got a bit different results, but the whole shape and the estimated positions of points in 3d seems just fine. Could you give me some advice how can I estimate the relative coordinates of cameras based on 2 views? This article may help to your study. Thank you. 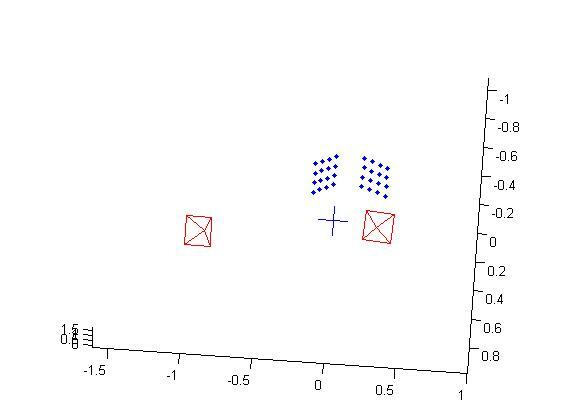 I'm using CMPMVS - Multi-View Reconstruction Software that I found on this web page http://ptak.felk.cvut.cz/sfmservice/websfm.pl?menu=cmpmvs. Somehing a dll or exe file? I have these as my parameters, but I'm not sure how to do this normalization.